Disney isn’t just sitting on the games made by LucasArts as many feared when they bought LucasFilm. They’ve made a deal with GOG.com to sell six old Star Wars games, three of which aren’t available on Steam. Star Wars: X-Wing vs. TIE Fighter, Star Wars: X-Wing Alliance, and Star Wars Galactic Battlegrounds are now available to buy, while Star Wars Battlefront II, Star Wars: Dark Forces, and Star Wars: Knights of the Old Republic II: The Sith Lords have been brought from Steam. 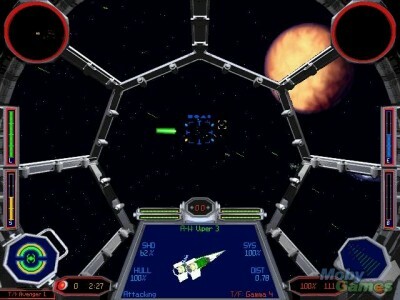 These follow a few even older Star Wars games being rereleased last fall. And enticingly, GOG is promising another six LucasArts games over the next ten days. Maybe a few non-Star Wars games, please?